The features of Korean higher education development are related to sociocultural tradition (Confucian tradition), the model university ideas, and economic development in Korea. The modern university ideas adopted in Korean are based on the German model which was established by the Japanese colonial government and drawing on the US university model after the World War II. However, the modern university ideas are intertwined with socio-cultural factors and have been embedded in current Korean universities. As well as the western ideas and the Confucian tradition, the growth of Korean higher education has relied upon the rapid growth of the Korean economy. Education development is well aligned with economic development in Korea thanks to government policy initiatives. This framework can be applied in the analysis of higher education development in other countries. Higher education development cannot be solely explained by individual cultural, historical or economic factor. These three factors are interlinked and influence the development of Korean higher education. This research was supported by the National Research Foundation of Korea Grant funded by the Korean Government (NRF-2010-330-B00232). Author thanks to reviewers and coordinating editor for invaluable comments for this paper. Marginson, S. (2011). 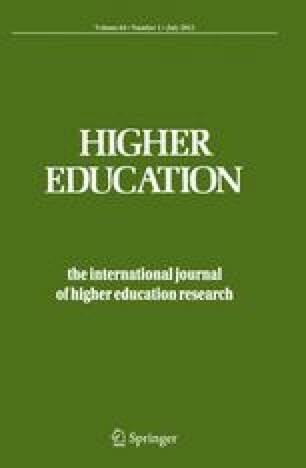 Higher education in East Asia and Singapore: Rise of the Confucian model. Higher Education. doi: 10.1007/s10734-010-9384-9. Wang, X., & Liu, J. (2010). China’s higher education expansion and the task of economic revitalization. Higher Education. doi: 10.1007/s10734-010-9383-x.